Baltic Shipping Company: MS Odessa and MS Kazakhstan 77/78 brochure. 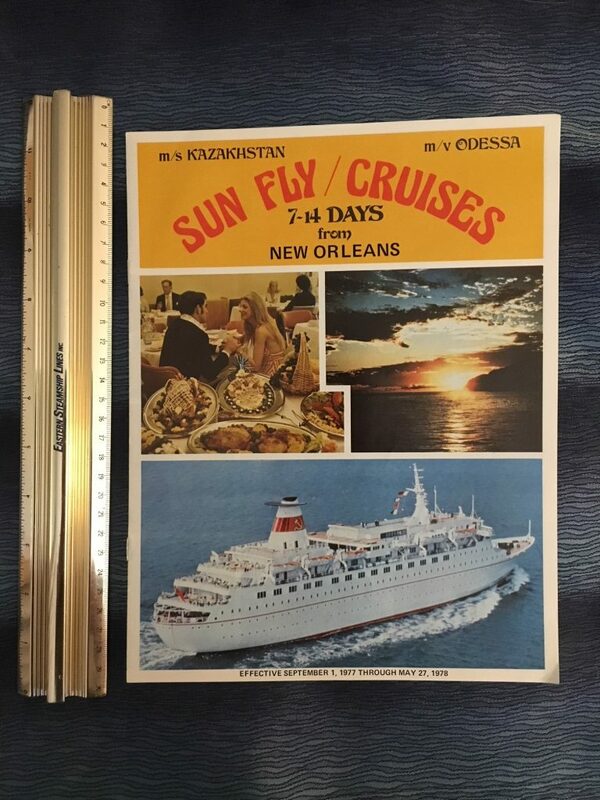 Includes deck plans and photos for both ships for their 7-14 days cruises out of New Orleans. Good condition with a Delaware agency stamp.